The Fakahatche Strand is another area which is part of the Greater Everglades ecosystem. This forested swamp claim to fame is that it contains the largest cypress and royal palm forest in the world in its 20 mile stretch. 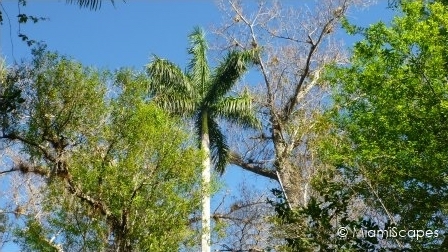 You can easily combine a visit to the Fakahatchee Strand with a visit to next door Big Cypress National Preserve. The Big Cypress Bend Boardwalk, which despite its name is located in the Fakahatchee Strand Preserve State Park and not in the Big Cypress Preserve, is a very unique and beautiful easy stroll, access is from Tamiami Trail, the same road that brings you to Big Cypress. See the Map here. Besides the boardwalk, there is also a scenic drive that traverses Fakahatchee Strand Preserve Park, but the road has some huge potholes, we prefer walking along the boardwalk. The Big Cypress Bend Boardwalk is a bit over half a mile, 1.2 miles round trip, and it goes through the deepest part of the Strand. The path is flanked by tall bald cypresses and very thick vegetation. You will be busy admiring the huge trees, but pay attention as well to the small growth all around, the air plants and ferns and a great variety of flowers. 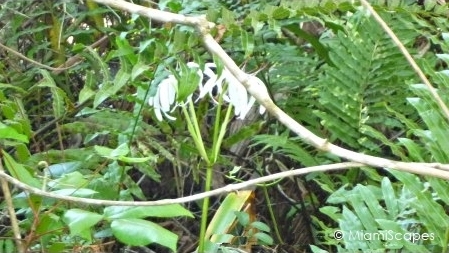 There are lilies, orchids, bromeliads, so look closely up in the trees as well as around the undergrowth. 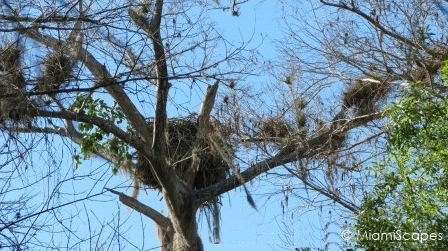 About mid-way through the walk, there is an active bald eagle nest which has been used continuosly since 1991. There were a couple of chicks when we were there but they were hard to see, we could certainly hear them! There are a couple of spots with sitting benches, and close to the end of the boardwalk you spot the Royal Palms towering over the swamp. At the end of the boardwalk there is a small viewing platform which faces a pond, there are more benches and this is the place to sit, relax and take it all in. 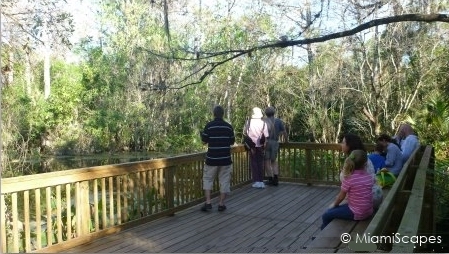 There is a resident alligator family, with several adults and a couple of generations of young ones. You see them lazying around the pond. 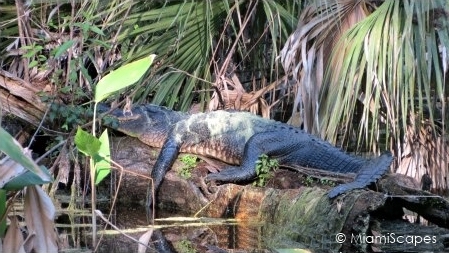 The alligators also roam around the park, they have been seen crossing the path near the entrance at times. There is no telling what you will see here. Sightings of black bears are not uncommon. Overhead, look for eagles, owls, woodpeckers, and the red-shouldered hawk... Keep your eyes open, there could be something at every turn! 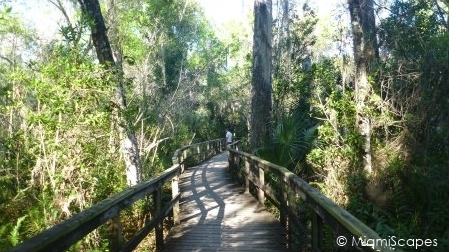 The Big Cypress Bend Boardwalk is on Tamiami Trail, seven miles west from the SR 29 intersection. 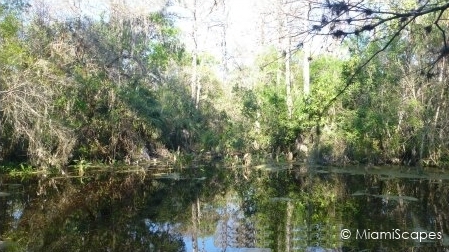 More Info: Official Site of the Fakahatchee Strand Preserve State Park.